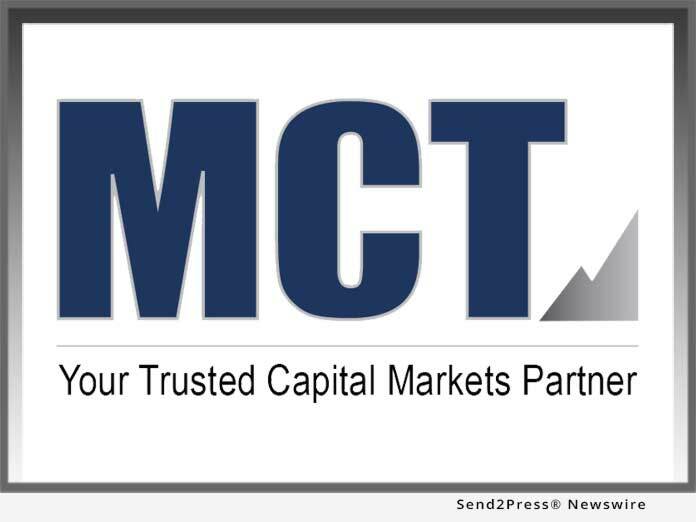 SAN DIEGO, Calif. /California Newswire/ — Mortgage Capital Trading, Inc. (MCT), a leading mortgage hedge advisory and secondary marketing software firm, announced automation of the Tri-Party Agreement required between lenders, investors, and broker dealers during Assignment Of Trade (AOT) transactions in the secondary market. The functionality is built into MCT’s Bid Auction Manager(TM) (BAM) bid tape management and best execution platform. After beta testing bid tape AOT with select sellers starting in early 2018, MCT rolled out support across their award-winning software, MCTlive!, in May. Bid tape AOT allows lenders to achieve bid tape pricing with the cash benefits of assigning the trade and has been welcomed with excitement from MCT lender clients. One of the final hurdles in the AOT process was the requirement of lender, investor, and broker dealer to each sign and return an agreement pertaining to every assignment. This process has now been completely digitized and streamlined. This automation is the latest development in a steady series of BAM features which help lenders improve their loan sale process and margins through best execution. BAM was officially unveiled in early 2017, achieved 100 percent adoption within the investor community a few months later, and earlier this year received PROGRESS in Lending Association’s ‘Innovation Award’ for mortgage technology. Lenders using BAM consistently report time savings of over two hours for every loan sale using BAM compared to their previous process, and experience surprising pickup in some cases due to bidding with an expanded investor set. Lenders interested in BAM or automating their AOT Tri-Party Agreement should reach out to schedule a consultation.